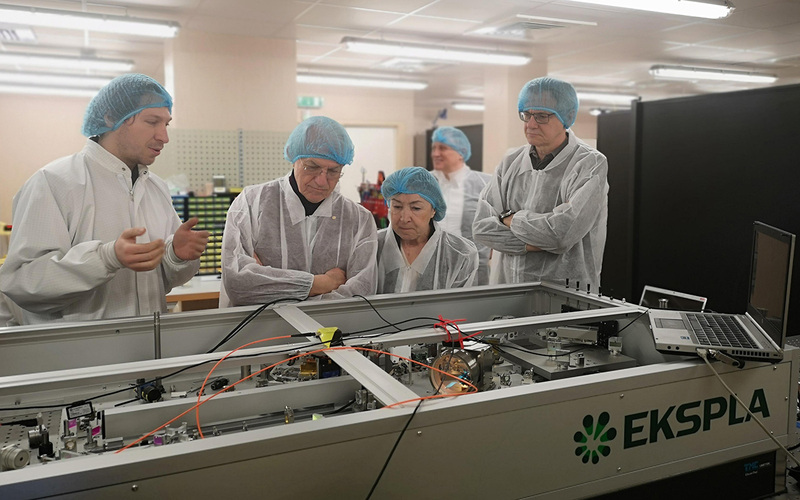 Prof. Gerard Mourou, Nobel Prize winner in Physics, visited Ekspla as part of his three day long visit in Lithuania. 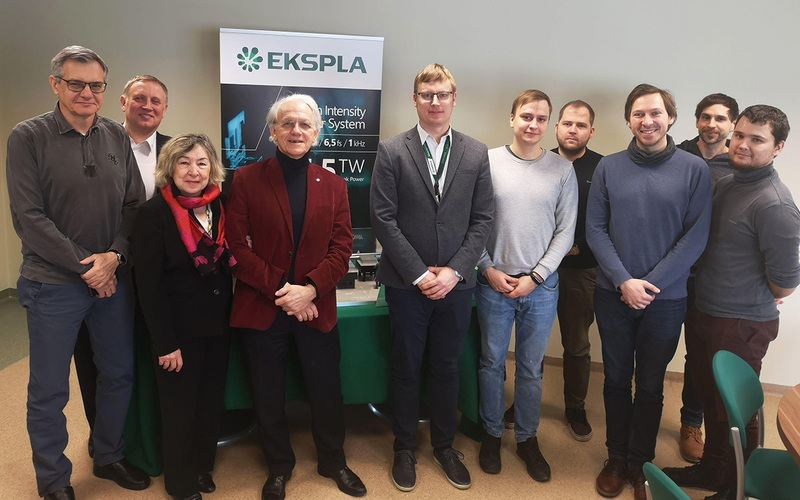 During his stay in Lithuania, prof. Mourou visited two of the Lithuanian laser manufacturers (Ekspla and Light conversion) as well as participated in the conference “Open readings 2019”. The plenary presentation “Passion for Extreme Light”, delivered by prof. G. Mourou was met with great interest and a full auditorium. 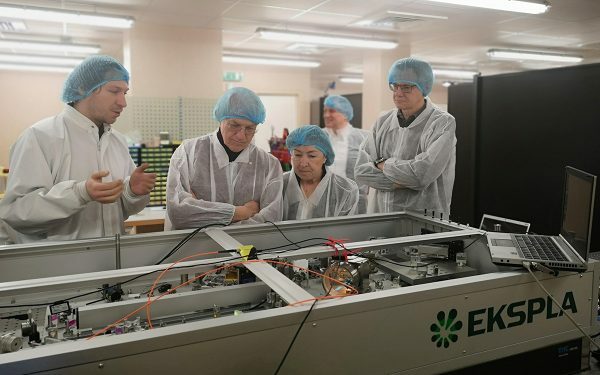 Ekspla as a proud sponsor (together with Light Conversion) of prof. Mourou’s visit, welcomed the Nobel prize winner’s visit to the EKSPLA facilities. The main focus of the visit was the introduction and demonstration of Ekspla systems employing OPCPA technology (Optic Parametric Chirped-Pulse Amplification) which evolved from CPA (Chirped Pulse Amplification). 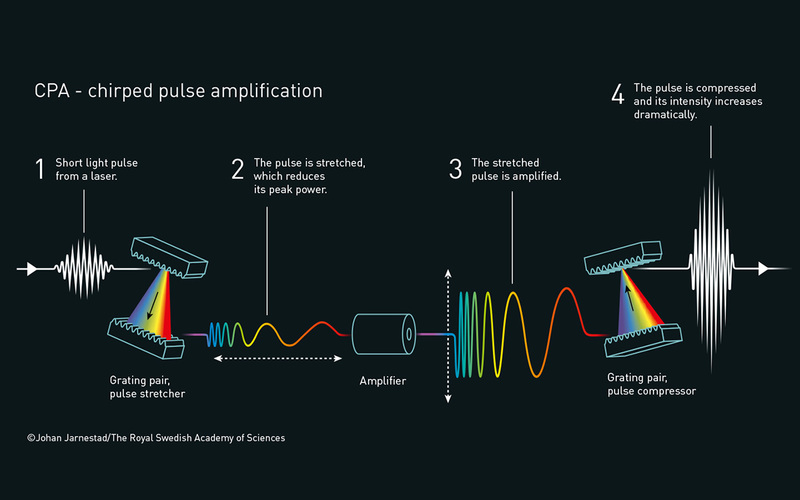 CPA is the invention for which prof. G. Mourou and his colleague Donna Strickland were awarded the 2019 Nobel Prize award in physics. “I was impressed by the variety – there are scientific lasers, but you also have lasers designed for the industry. I saw a lot of lasers and it is excellent in creating business and jobs – high value-adding jobs. In my opinion, it is particularly important” – mentioned prof. G. Mourou. “We are very happy to see prof. G. Mourou at Ekspla” – told Dr. Andrejus Mihailovas, science director at Ekspla. – “by employing his inventions, we could produce one of the most powerful systems in the world – SYLOS for ELI”.